Facebook’s video streaming platform, Watch, hasn’t made as much of an impact as its more-established competitors like Hulu or even YouTube Red, but it seems to be trying to change that by picking up new TV-style projects with fairly big names attached. In October, it announced Kerry Washington’s Chicago-set drama Five Points, and earlier this year it ordered a coming-of-age fairy tale show from big-time movie production studio Blumhouse about a girl with no hands. 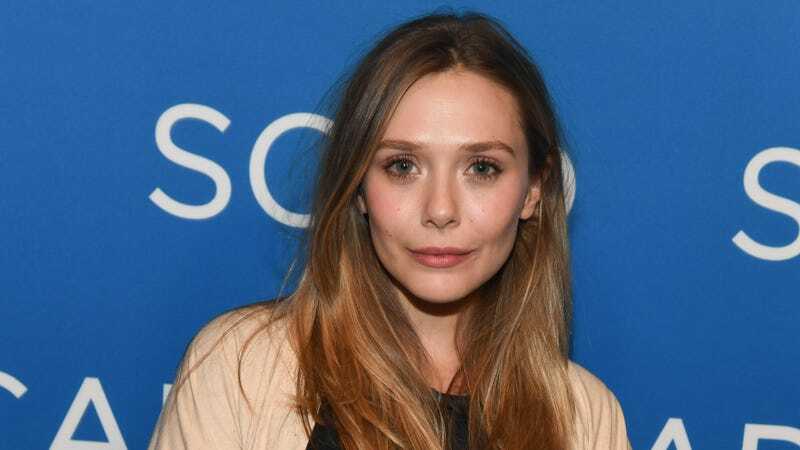 Now, The Hollywood Reporter says that Facebook Watch has given a straight-to-series order to an untitled “female-driven dramedy” starring Elizabeth Olsen. The show was created and written by Z: The Beginning Of Everything’s Kit Steinkellner, with Lizzy Weiss (the creator of The CW’s Switched At Birth) acting as showrunner. We have no idea what the show will be about, as The Hollywood Reporter doesn’t even offer any clues. Olsen says the show is “dark, funny, and complicated,” but that description could cover virtually anything.